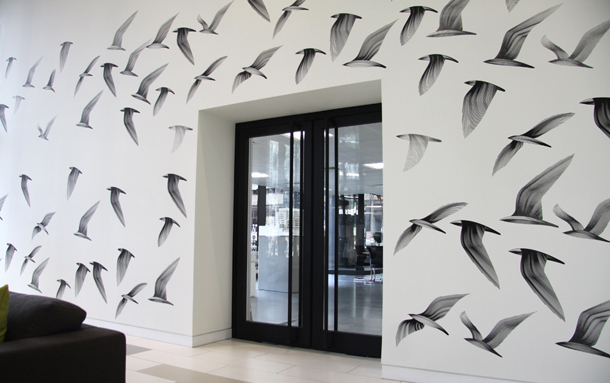 Sunny and I installed our first mural at St Katharine Docks. 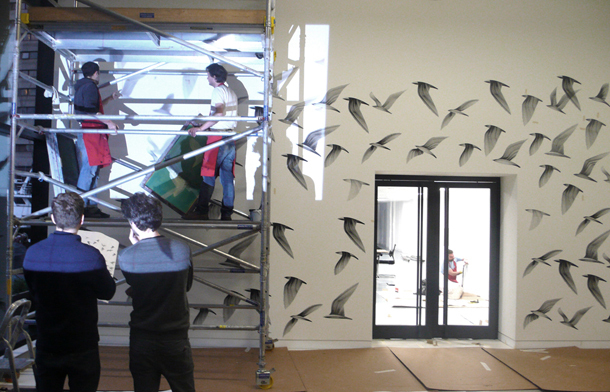 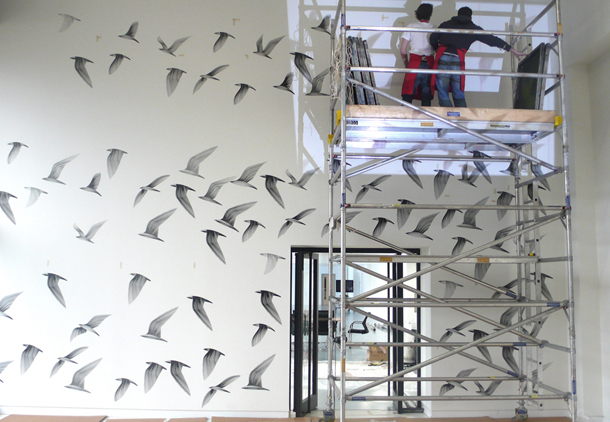 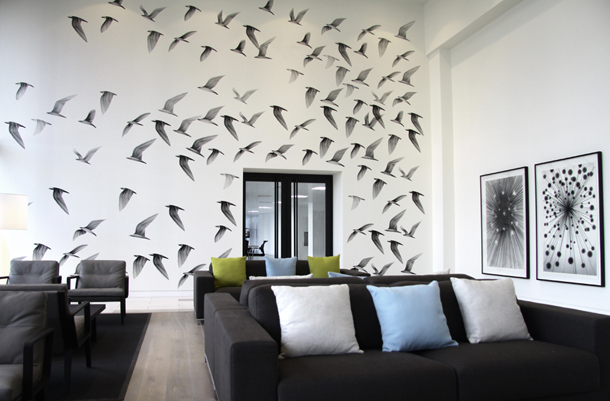 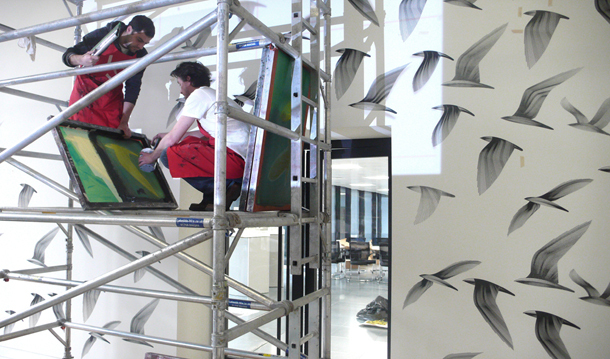 Each bird has been silkscreened over the 20ft x 26ft wall and displays our Migration West print. 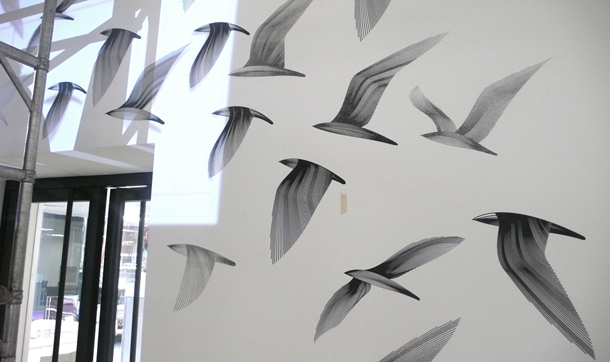 Thanks to @DaydreamingProj and K2 screen printers for making it happen. 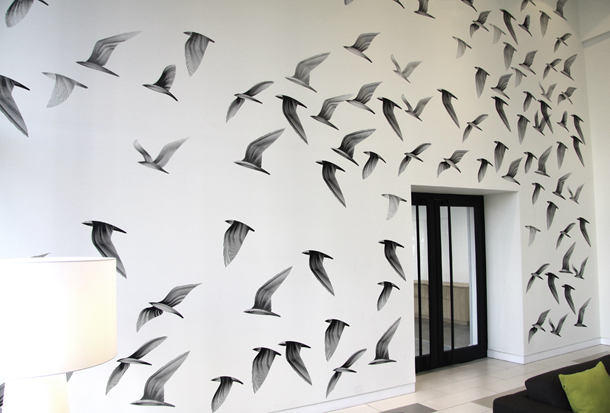 Sunny and I are really pleased with the results.